We have reviewed this case again, and we must confirm that our position on that matter remains unchanged, the Terms & Conditions were correctly applied to your rental. 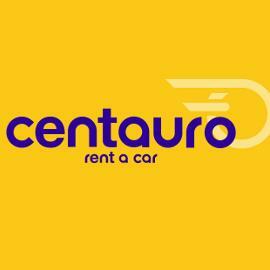 We would like to stress that Centauro Rent a Car will always endeavour to reach a solution that is both reasonable and in line with the Terms & Conditions of your rental agreement. Therefore, we trust you will understand that we are not able to proceed any further with your case on this occasion. They know very well that the scratch was there when I collected the car. I am asking them to look at previous rental people and all incidents which will show that the scratch was there when I took the car. I am convinced if they check for previous incidents by previous rental people, they will see that I was right ( but they will not do it and they will carry on taking money from innocent people to get 'rich' quicker'. Also, they are no answering about the fact that they didn't refund me my fuel deposit first before charging me for the scratch. As explained, we used the fuel deposit as part payment for the damage, so only one transaction was made to avoid any additional bank fees. you shouldn't do that! It says in your contract that the money kept when collecting the car is refunded when the car is brought back with tank with same level when taken. It doesn't say that the money will be kept to partially paid for the damages. they are two separate contracts. you must refund the fuel first and then take money from the incident ( which in my case never happen!!!). You apply and do what you want! There are rules for you and rules for us!!! Thank you for choosing us for your car hire and for your great comments and rating of your car rental experience with us. Please note the damage policy is clearly explained in the rental terms and conditions. All existing damage is registered on the contract when collecting the car and any new damage will unfortunately have to be paid for. It is also specified on the initial contract that the lock of the car must be checked before leaving our installations. If you have any queries, you can contact us and we will provide all the necessary information. Please note the damage policy is clearly explained in the rental terms and conditions. All existing damage is registered on the contract when collecting the car and any new damage will unfortunately have to be paid for as per our price matrix. If you have any queries, please contact us and we will provide all the necessary information. Unfortunately, all customers are charged new damages regarding of how many rentals they have had. " "Hi . Thank you for sharing your rating of your car rental experience with us. Please note the damage policy is clearly explained in the rental terms and conditions. All existing damage is registered on the contract when collecting the car and any new damage will unfortunately have to be paid for. If you have any queries, you can contact us and we will provide al"Hi . Thank you for sharing your rating of your car rental experience with us. Please note the damage policy is clearly explained in the rental terms and conditions. All existing damage is registered on the contract when collecting the car and any new damage will unfortunately have to be paid for. If you have any queries, you can contact us and we will provide all the necessary information. 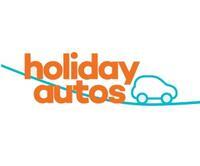 Thank you for choosing us for your car hire and for your kind comments and rating of your car rental experience with us. We are sorry for the inconvenience caused on arrival. Please note there are no hidden charges, all the information is clearly explained in the rental terms and conditions. If you booked through a 3rd party and you wanted to pay with a debit card, then the Smart cover was required to avoid the deposit on arrival. If you feel you have not been informed correctly, we urge you to contact your agency directly. I would have been ok with a deposit on arrival. But that was not an option, i was forced to pay 250 euro. And since We already had been driven so far away from The airport that There was no other car rentals close, standing with our newborn We had no other choice but to pay up to get going. As per the 3rd party conditions, a credit card with enough creidt to leave the deposit on arrival was required for payment, this is stated in the booking voucher. Please note all existing damage is registered on the contract when collecting the car and any new damage will unfortunately have to be paid for. When a customer hires a car and does not take out the Centauro Cover, the customer has to assume the responsibility for any new damage to the car this is why deposits are taken. We fully understand why you may feel so disappointed but our staff always follow this procedure. Please send us your booking reference number via our website and we will investigate this further. We require all customers to either opt for our Smart cover on arrival, which covers all eventualities, or leave a 1050€-2100€ deposit, regardless of whether they have purchased private insurance prior to arrival. Also the fine administration fee is explained in our terms and conditions. We identify the driver and provide all contact details so our customers can receive the original documents at their home address. The 40€ charge by Centauro refers to the administration fee of this service. If you have booked through a 3rd party and you feel you have not been informed correctly, we urge you to contact your agency directly. If you wish, you can also contact us. We are sorry for the situation, but as you have explained, you returned the car with a damage that was not reported when collecting the car, this wasn´t reported the next day either. We have justified said charge and sent you photos and invoices. Please note one of our employees checked the car with you on collection, and indicated on your contract a scratch that was not registered. Then on return the office manager was who checked the car and followed the company protocol. Customers are responsible for any new damage made to the car, regardless of how many times they have booked previously. Thank you for sharing your comments of your car rental experience with us. If you choose the Full-Full option, the vehicle will be delivered with a full / partly full tank of petrol. At the end of the rental, you have to replace the fuel you have used and we will refund you the amount you paid for it. We only refund up to the amount charged and this is why we ask our customers to return the car exactly the same level of fuel. We are so sorry for the inconvenience caused during your rental, our customer service department is answering all emails in chronological order so they will reply to yours as soon as possible. We are so sorry to hear this. What happened? Please send us your booking reference number via email and we will investigate this matter. Please note all existing damage is registered on the contract when collecting the car and any new damage will unfortunately have to be paid for. The car did not have that damage when you took out that car and had the damage when you returned the car. Our customer service team has sent you the invoice via email. You completely miss the point. I'm not complaining about the principal of having to pay for damage that genuinely occurred during my rental period, but the disingenuous way in which your policy is enforced. Are you saying that you instruct your employees to get down on their hands and knees and inspect every centimetre of the bodywork with their nose almost touching the car when it is returned? If so, do you employees also scrutinise your cars in the same way before they are rented out? He took about 20 minutes to inspect the car and would not let me leave despite the fact that I was disabled and kept telling him it would take me a long time to get to the check-in. The damage to the bumper to which he referred for the purpose of justifying deduction from my deposit was completely invisible to anybody standing right next to the car. It was only when he got on his hands and knees and used the torch on his smart phone that they could be seen, so unless your employee who rented me the car went through the same process it is no wonder that it didn't appear on the condition report when I took the car away. I might add that because of my disability which was obvious at the point of collecting the vehicle I could not get on my hands and knees and inspect the bottom of the bumper even if I wanted to. This is a disgraceful way to treat a customer and I have in mind utilising one of the many mediation forums to deal with this issue. It is not a question of the amount of the deduction which I can well afford, but there are obviously many people less fortunate than myself and on a very tight budget who are seriously upset by a procedure that would seem to many people to be just a ground for squeezing the last Euro out of an unsuspecting client. I had a similar experience at Alicante airport both in terms of car inspection and charge. It seemed that the man inspecting the car already knew of the damage (which was minimal) as he focused in on that part of the car after a once over. I challenged the charge with Centauro and received a response identical in wording to your own. If that is how Centauro treat Customers who do not take their excess insurance then that is a reflection of their business model. We are so sorry for the situation. We believe our customer service department is dealing with this issue directly with you via email, we thank you for your patience. Thank you for sharing your rating of your recent car rental experience with us. 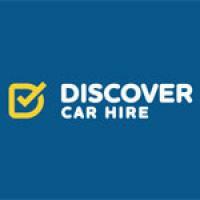 Thank you for sharing your comments of your recent car rental with us. Please note the damage policy is clearly stated in our terms and conditions. All existing damage is registered on the contract when collecting the car and any new damage will unfortunately have to be paid for. If you have contacted our customer service department via email, please note they are answering within 10/12. I accept damage must be paid for. However my point is that this was not damage. If I had not washed the car the mark was not visible and if someone had polish a few wipes and it was gone. There is no way I would have noticed this when I cillect d the car on arrival as it was so minor. I have photos and video if you are really interested? Please send all the documents you have to our customer service department and we will investigate this matter. Thank you. I have sent a photo and these review comments. I cannot send the video as it is too large unless you have somewhere I can copy it to. I have sent this to your email address. We are sorry the lines were so busy when you tried to contact our Faro office. Please note our customer service department is dealing with this issue via email.